I found this online today, and thought I’d share. The engineers for Hyper Suprime-Cam on the Subaru Telescope put together a video of the Subaru dome opening during twilight, You can find the original video here on a blog about the commissioning of Hyper Suprime-Cam, Subaru’s newest wide-field camera (Note: the blog is in written in Japanese). When you’re observing you don’t often get this view as sunset is one of the busiest times when you’re an astronomer getting ready for the start of your night (likely of one or a handful that semester) on the telescope. The data you currently review on Comet Hunters is the public archival data from Subaru’s Suprime-Cam. Each of those nights when the weather was good, something like below happened as the observatory prepared to start the nightly calibrations. 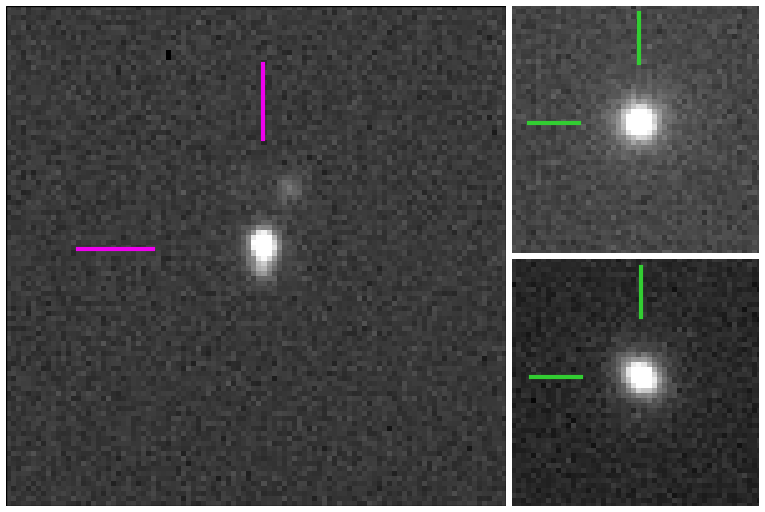 New Comet Hunters Data Available! 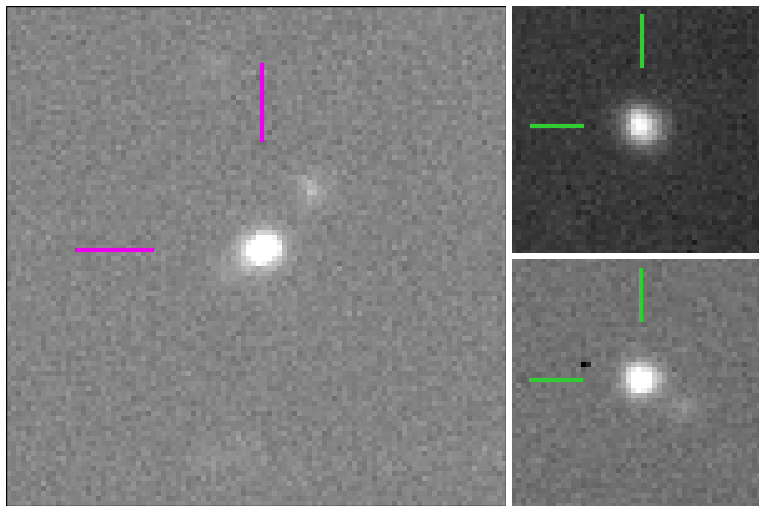 Thanks to everyone who has helped out with Comet Hunters so far. As noted in a previous blog post, with your help, we’ve completed the first batch of images from launch and have compiled a preliminary list of potential comet candidates based on your classifications, and are currently in the process of vetting those candidates. We are pleased to announce that new data is now available! 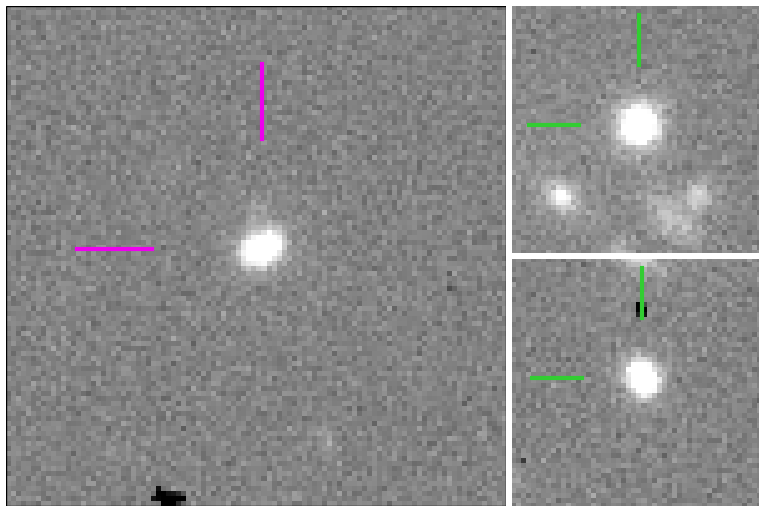 We’ve fixed some issues with our data processing software (in particular, a bug that led to a large number of off-center asteroids that many of you noticed), and so this new set should be easier to analyze and classify. 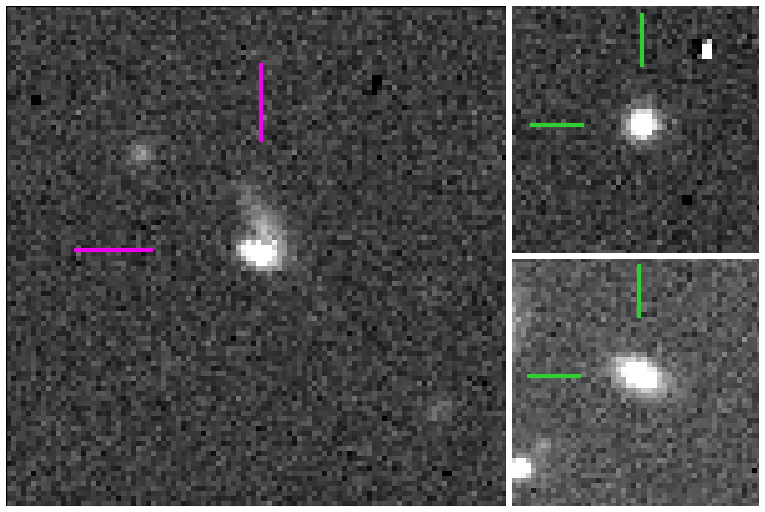 With the newly uploaded batch of brand-new images as well as some re-processed images that we’ve shown before, we hope to identify many more main-belt comet candidates with your help. Good luck and happy hunting!